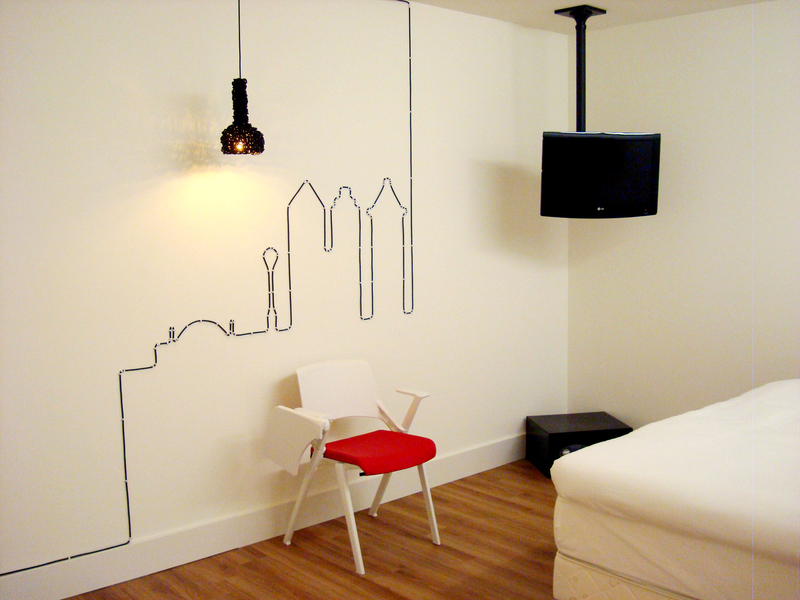 Lighterdam is a design that can be found in the rooms of the Qbic hotel that are not equipped with windows. In these rooms Lighterdam provides a cozy sphere by displaying the typical and iconic city of Amsterdam on the wall in combination with warm and comfy light. 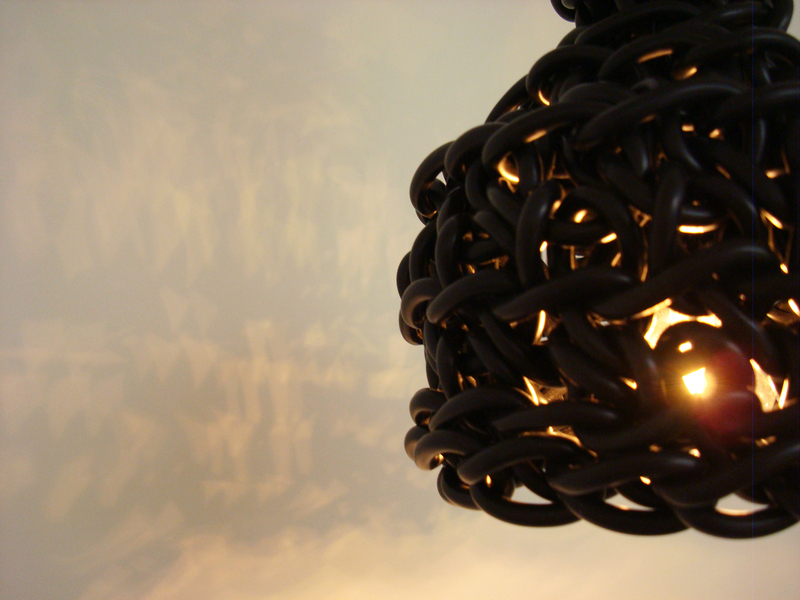 It is handcrafted and consists of only one electric cable that is shaped into a lamp and subsequently forms an Amsterdam city view on the wall before making its way to the power socket to provide the light with electricity. In the Amsterdam city view you will come across the typical facades, lanterns, canals and bicycles that characterize Amsterdam. 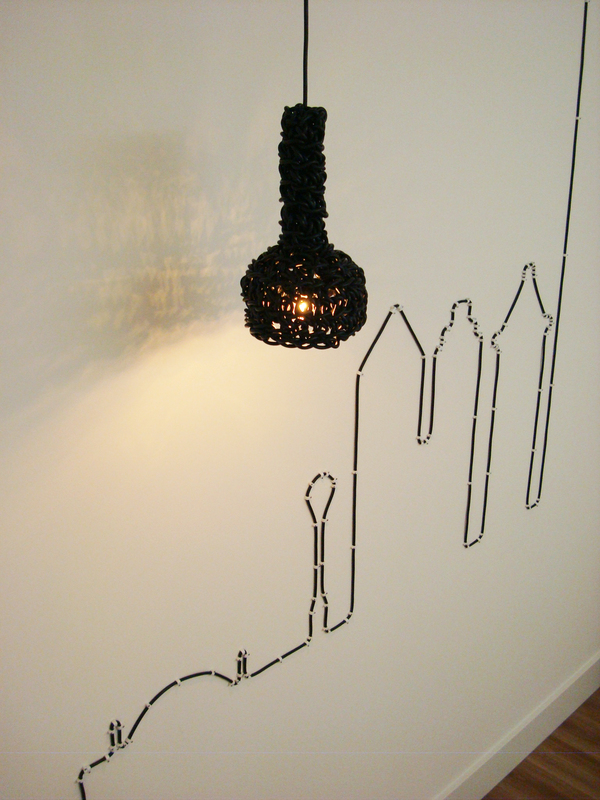 Additional to Lighterdam there is a golden city bicycle – representing a bit of Amsterdam – in the lobby of the hotel. 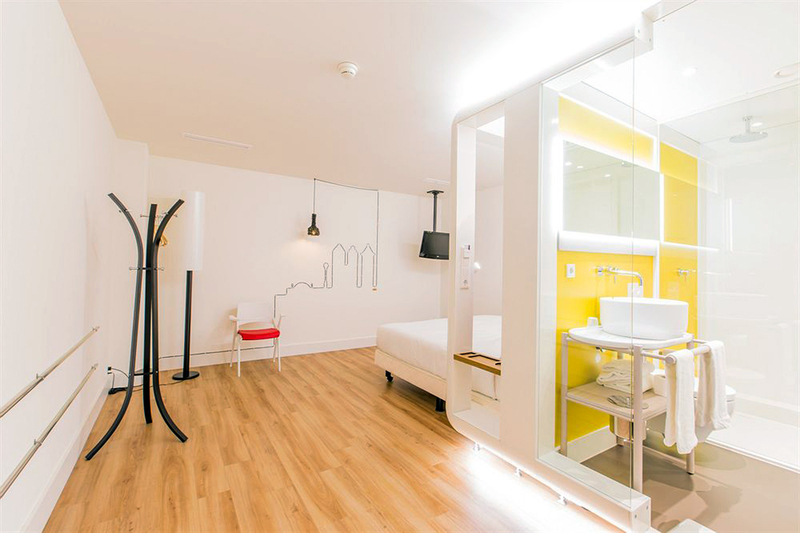 Together these somewhat funky works of art contribute to the experience of spending your nights in a Dutch design hotel in Amsterdam: the Qbic Hotel.